In the market for a mobile home and need a company that can help you through every step of the way? Then we can help. At Belden Homes Inc we have over 40 years of putting people like you into their new mobile home. We help you through the entire process including helping you choose the model that’s right for you and obtaining financing. And if you’re located in Broome, Chenango, Delaware or Susquehanna counties and we can help with complete setup of your new home too. You have our experience in making sure you get the house you need and have it setup the way you want it. We do it all for you with our personal guarantee of your satisfaction. Our goal is to make you one of our many satisfied customers. Read down further to learn about the details of what you can	expect when you do business with us. And remember, if you have any questions or need help please contact us. We understand how overwhelming it is to choose your new mobile home. That’s why our sales process includes helping you select and design your new home. We will help you through the entire process including answering all your questions. First, visit our mobile home buying steps page. This will give you an idea how the process works. Second, visit our mobile home floor plans page to see what types of homes are available. 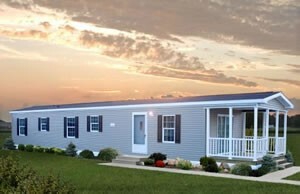 Finally, you can see our current selection of mobile homes by visiting our current inventory page.